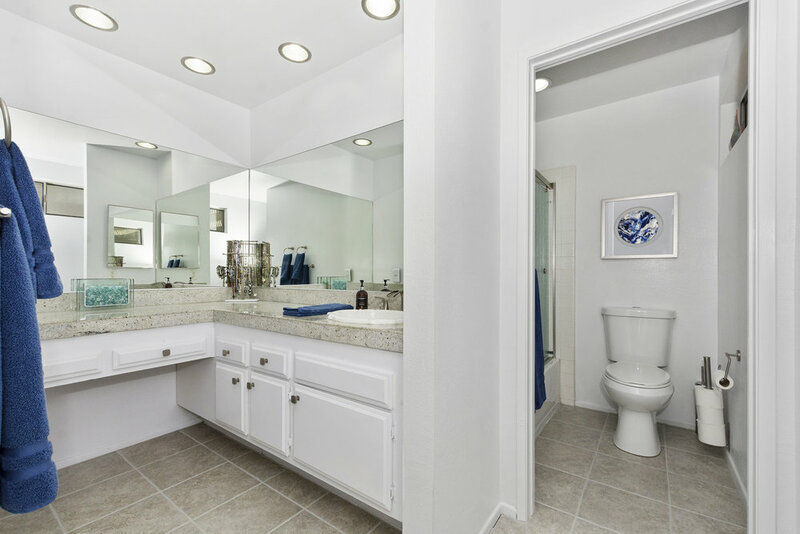 Welcome home to this completely updated, light & bright, open floor plan at the guard gated golf community of Indian Palms. 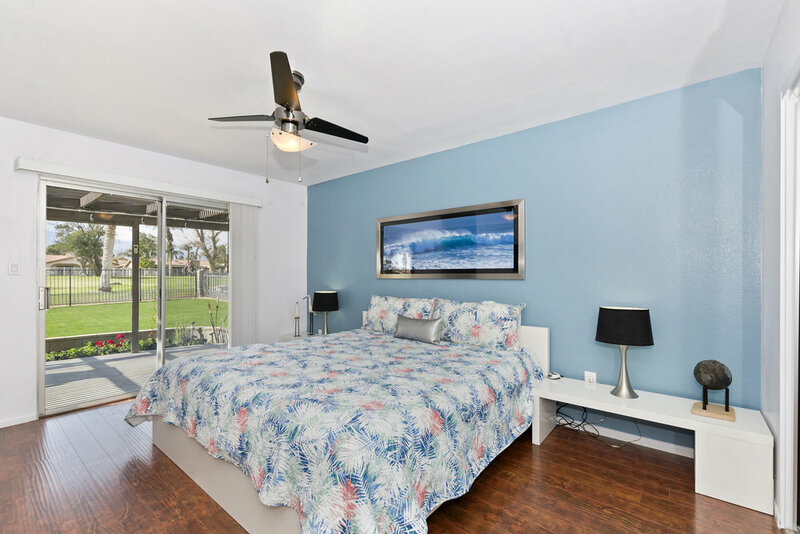 This chic home sits on a prime, south facing lot with plenty of room for a pool, spa, or any number of outdoor entertaining options. Watch the golfers, enjoy the sunsets with a libation & fire up the grill. There is plenty of room for your friends & family to enjoy the panoramic mountain views with a large built-in awning for shade. Inside, they'll be wowed by the modern finishes, which include tile & wood floors throughout, granite countertops, stainless appliances, an opened up bar area with seating, dining area, contemporary lighting fixtures, & fireplace in the great room. The guest rooms are just the right size! 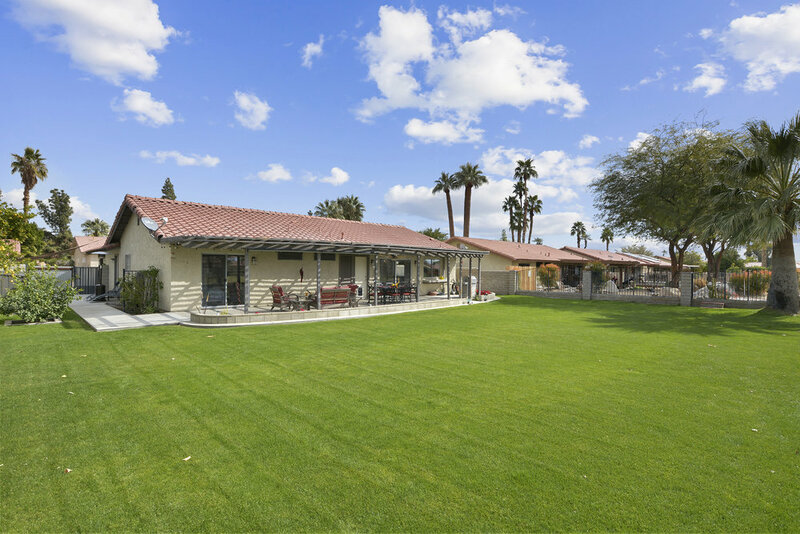 Homeowners at Indian Palms enjoy low HOA dues, with pay as you play golf, pools, spa, fitness center, tennis, clubhouse, restaurant & hotel. Close to world-class tennis, dining, shopping, hiking, biking, theater & all that the desert has to offer. Perfect for a weekend getaway, vacation home or primary residence.